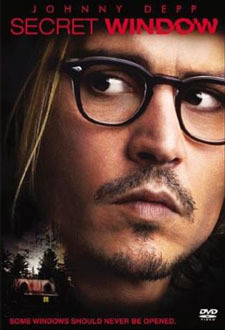 Johnny Depp, John Turturro, Maria Bello, Timothy Hutton, Charles Dutton, Len Cariou, Joan Heney, John Dunn-Hill, Vlasta Vrana, Matt Holland, Gillian Ferrabee, Bronwen Mantel, Elizabeth Marleau, Kyle Allatt, Richard Jutras, Kevin Woodhouse, Vito DeFilippo, Sarah Allen. Johnny Depp gives his most riveting performance in this action/suspense thriller featuring a top-notch cast including John Turturro, Maria Bello, Timothy Hutton and Charles S. Dutton. Following a bitter separation from his wife, famed mystery writer Mort Rainey is unexpectedly confronted at his remote lake house by a dangerous stranger named John Shooter. Claiming Rainey has plagiarized his short story, the psychotic Shooter demands justice. When Shooter’s demands turn to threats —and then murder— Rainey turns to a private detective for help. But when nothing stops the horror from spiraling out of control, Rainey soon discovers he can’t trust anyone or anything. A shocking psychological thriller from the writer of Panic Room, David Koepp. Screenwriter: David Koepp, Stephen King.